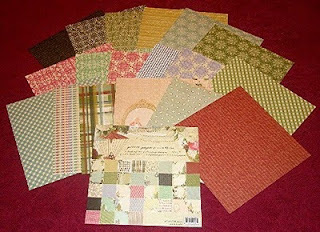 Bits & Scraps Of My Life: Way cool giveaway at Crafty Hazelnut's blog! 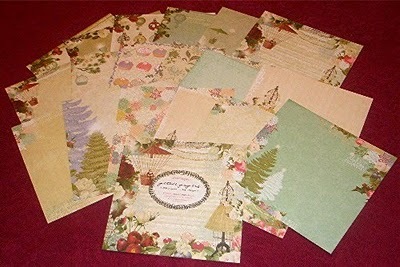 Way cool giveaway at Crafty Hazelnut's blog! Have ya'll been over to Crafty Hazelnuts blog? You gotta go!! GOTTA!! First off, beginning Jan 1....she is starting a weekly Christmas card challenge. How cool!! Next year I might just have my cards finished in time!!!!! lol, And if that wasn't incentive enough, right now she has some super Christmas candy up for grabs and will be doing the draw on Dec 23......could you maybe use some Websters Pages goodies???? How about 18 6 x 6 pieces of yumminess?? And they are double sided!!! !